Multiple scenes of Sherman County, Kansas. 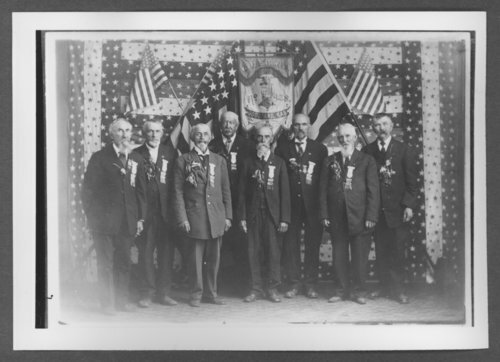 In the GAR veteran's photograph, pictured left to right are: Newton Know, J.H. Honey, J.H. Stewart, Charles Young, George Robb, A.D. McIntyre, George Murry, and Mark Cuthbertson.